A Maryland legislator introduced a bill that would require the state to get majority approval from counties before installing tolls on highways and bridges that run through those counties. House Bill 102, primarily sponsored by State Del. Brooke Lierman, seeks to expand an existing requirement that the state receive consent of the majority of nine Eastern Shore counties in order to construct tolls along their roads or bridges. If passed, Lierman’s bill could stall Gov. Larry Hogan’s plan for tolls in the Washington suburbs. Hogan’s Traffic Relief Plan proposes using public-private partnerships to add four toll lanes to Interstate 270 in Montgomery County and the Capital Beltway portion of I-495 that passes through Montgomery County and Prince George’s County. 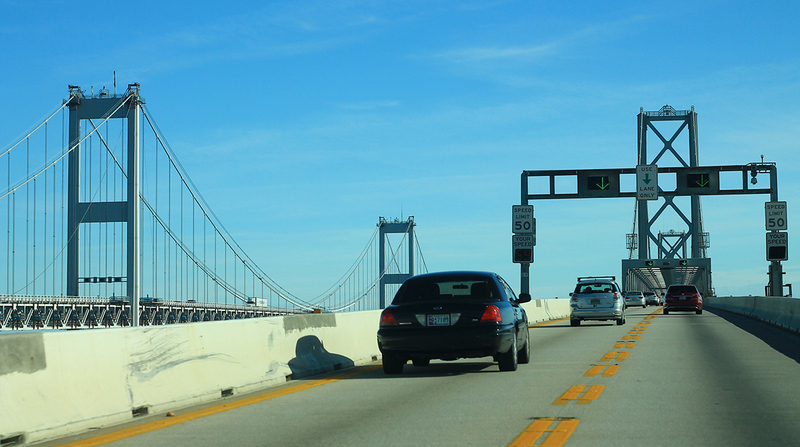 The bill also has the potential to disrupt plans to construct a third span of the Chesapeake Bay Bridge, a toll bridge linking the Eastern Shore to Annapolis, Baltimore and Washington. The Maryland Transportation Authority’s Bay Bridge Life Cycle Cost Analysis estimates that, by 2040, traffic on the bridge will increase to at least 92,800 vehicles per day from 73,666 in 2017. The transportation authority has overseen toll facilities since 1971, including the Baltimore Harbor Tunnel, the Chesapeake Bay Bridge and the John F. Kennedy Memorial Highway portion of I-95. The Maryland Motor Truck Association opposes the bill, but sees benefit to Hogan’s plan. Louis Campion, president of the association, said Hogan’s plan can offer sorely needed capacity and relieve congestion. He cited the American Transportation Research Institute’s Cost of Congestion report, which found that lost productivity in 2015 was the equivalent of 362,243 commercial truck drivers sitting idle for a year. The Maryland Department of Transportation also opposes the bill. In a Feb. 7 letter, MDOT Government Affairs Director Jeff Tosi said the bill could “sound the death knell” for projects that aim to relieve congestion, including Hogan’s Traffic Relief Plan. Moreover, the letter contends that the bill could jeopardize any future P3 projects and cause discord among counties. For example, Tosi said that one county’s objection to a toll could negatively affect a neighboring county’s desire to address transportation needs through tolls. Lierman said HB 102 still awaits a vote.